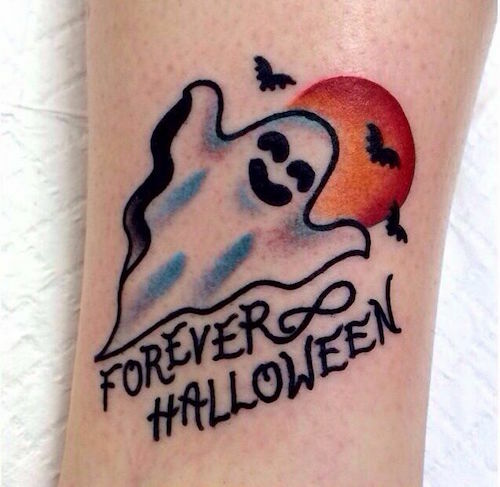 “FOREVER HALLOWEEN” with an infinity symbol and a happy, spooky ghost drawn in a traditional white sheet style, starts this list with bats accompanying his (or her) flight! 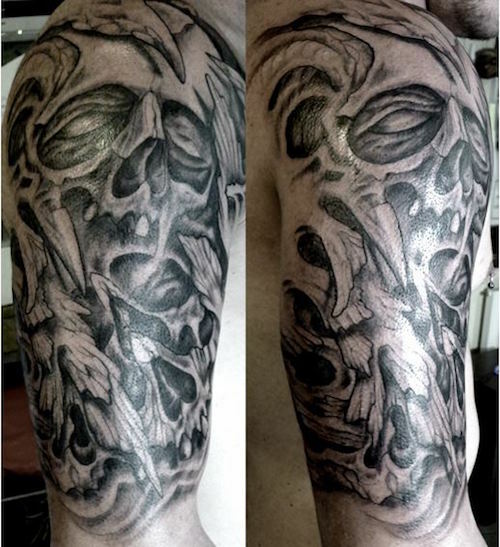 Here is a different kind of ghost, and a creepy one at that. 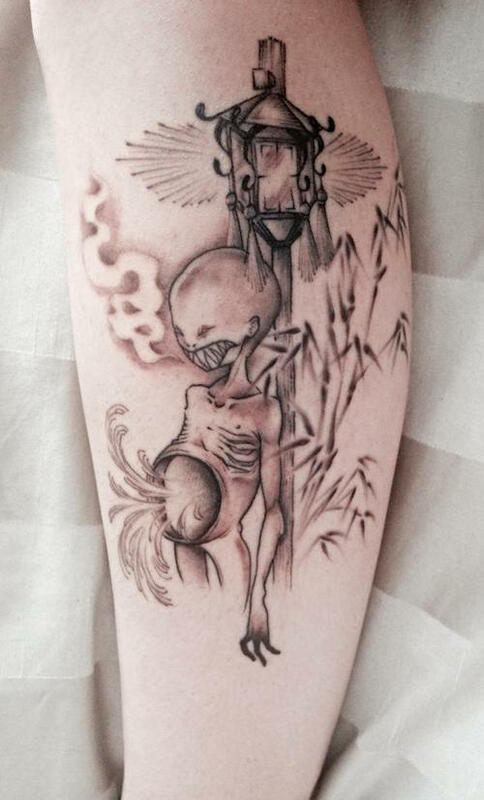 What do you make of this ghost tattoo? 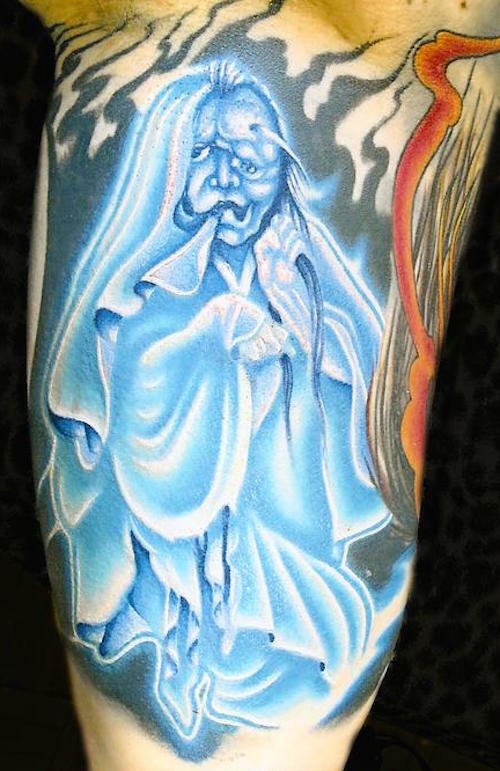 This ghost looks like a character we would accept to see in The Ghostbusters’ movies. Happy, yet undeniably creepy. 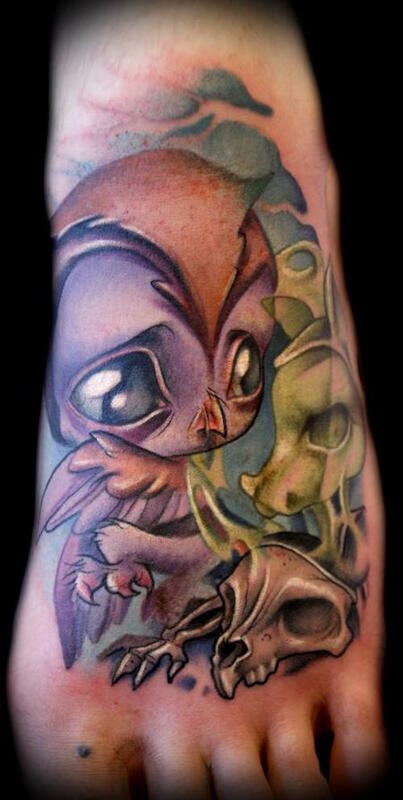 A ghost friend says hello to this wandering owl. 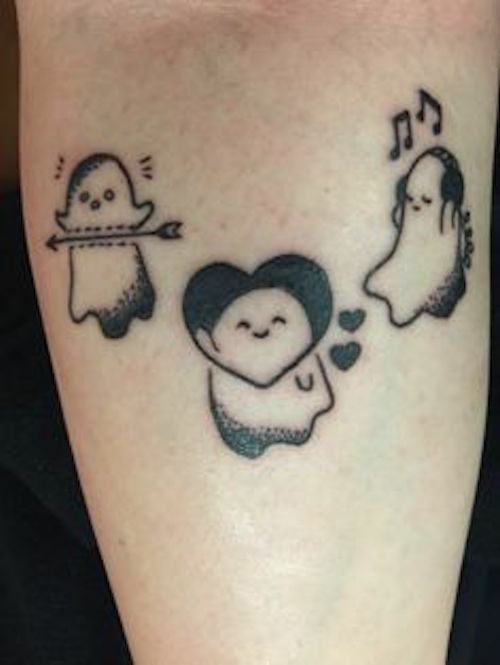 OK, these three ghosts are way more cute than spooky. 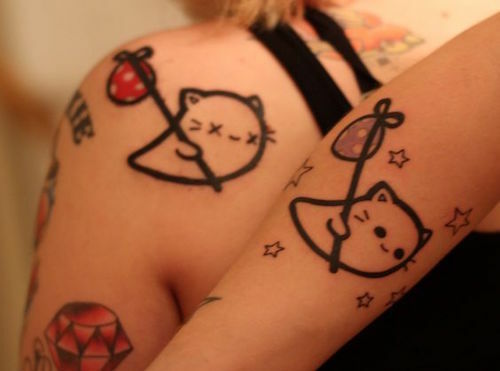 And these hitch hiking ghost cats are even cuter! 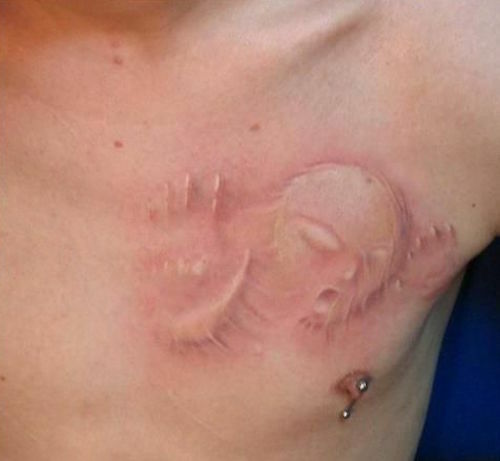 This creepy alien like ghost done in white ink with a 3D style looks eery as it tries to bust out of its host’s chest. 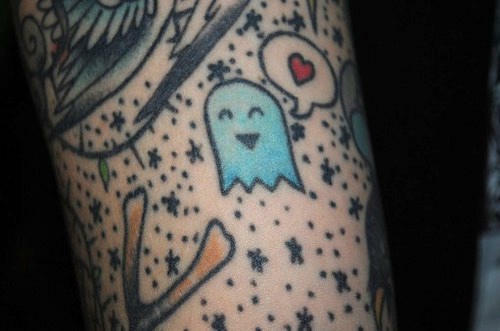 A spoooooky little ghost looking for his lost love roams the earth forever until he finds her. Who else used to be horrified of the Super Mario ghosts? 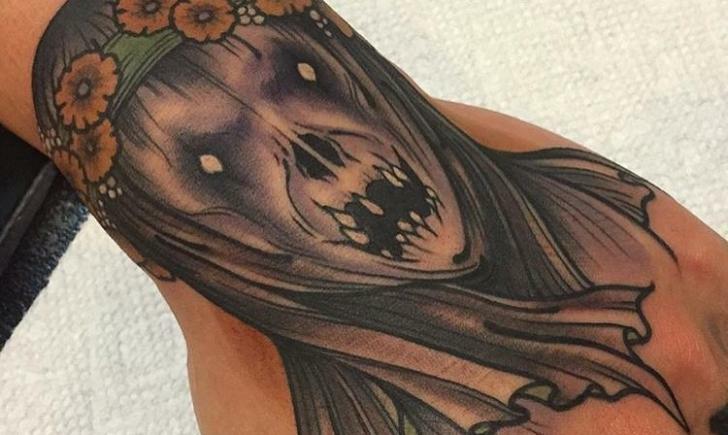 What would you do if this creepy ghost was hovering above your bed in the middle of the night? 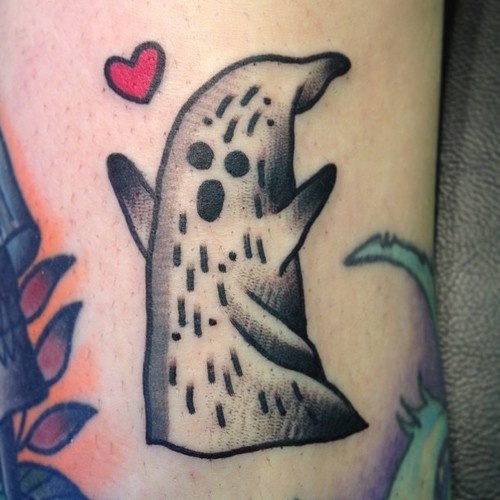 A lost love created this ghost with unfinished business. She also roams the earth for her lost lover, who is probably the one who ended her life. 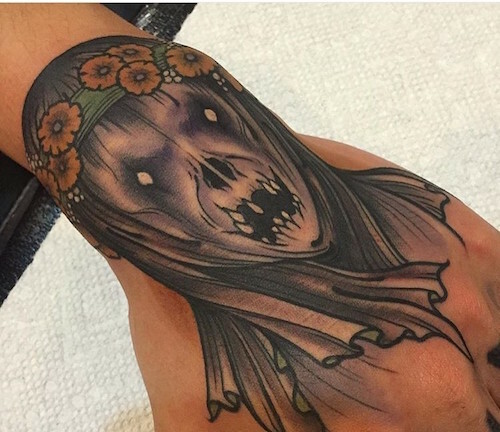 She is beautiful and scary all in one, and is one of the best ghosts of this lists. 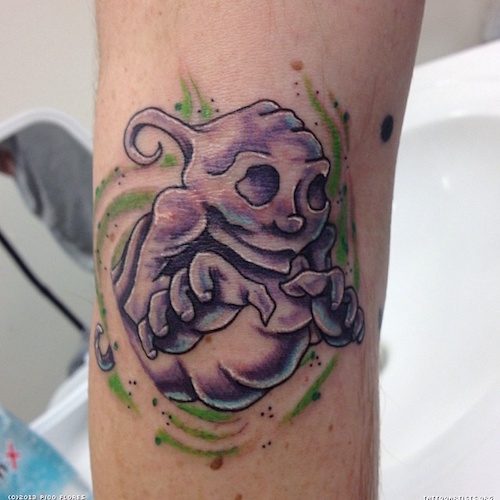 This ghost tattoo is super creative and looks fluid as if it keeps morphing into various horrifying forms. 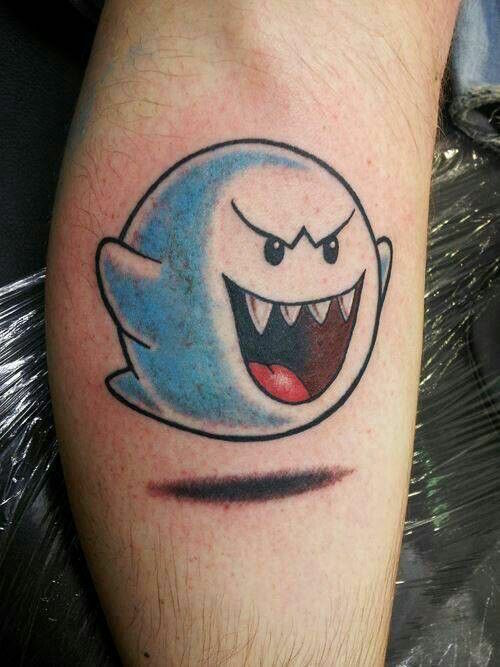 Who else would get creeped out when the ghosts were after you in PACMAN? 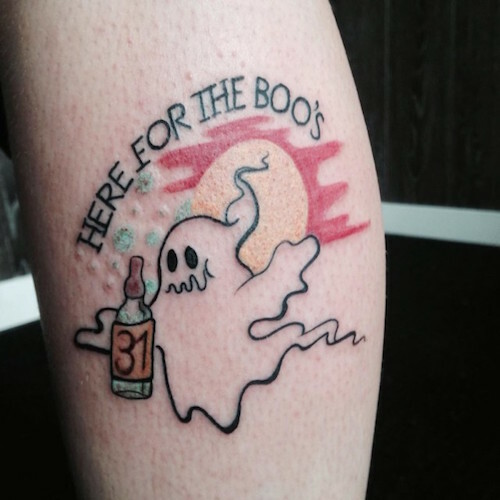 I don’t think we have anything to fear from this ghost, as he is just here for the boo’s. 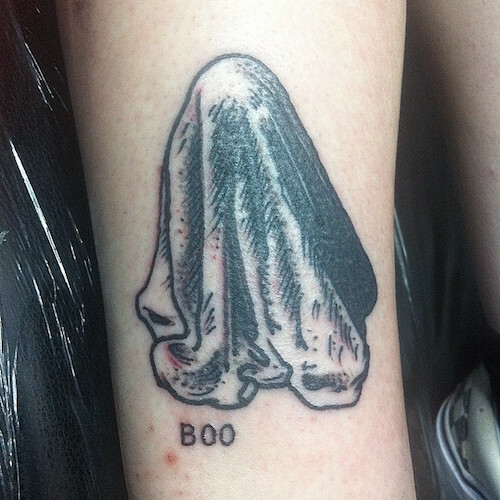 Without eyes or any indication of expression, this ghost shaped sheet with just the nondescript words “BOO” is more spooky than would be expected.